Is it a cake or a bouquet of flowers? 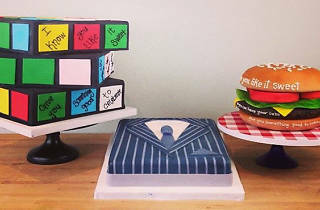 A three-tiered treat or a pin-striped suit? 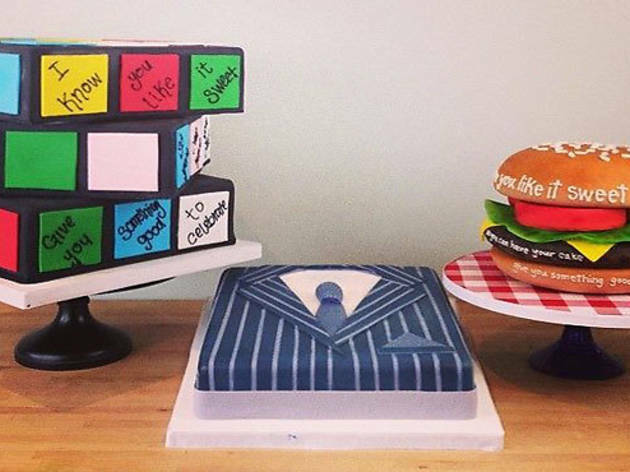 The bakers at Charm City Cakes West, the second location from Chef Duff Goldman, can seemingly turn layers of spongy cake into anything, whether it's a surfboard or an elaborate graduation cap. Mainly contracted for wedding and birthday cakes, you can also step in the shop for a slice of banana caramel or black forest. Sweet!